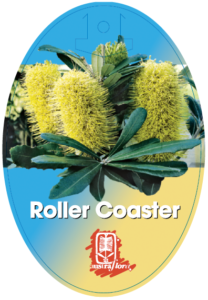 Rolling in like waves on the sand, Banksia Roller Coaster provides any seaside landscape with the perfect groundcover. It’s frost hardy too so an inland garden will also benefit. 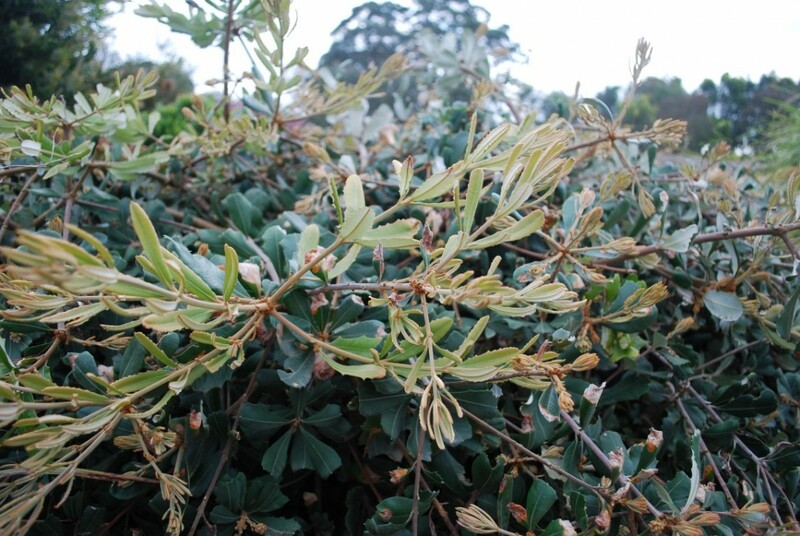 Silver-backed leaves on stout strong stems flicker like wave tops in the wind; from late summer to early spring lemon brushes stand up to entice the honeyeaters. Full sun and good drainage in most soils, including alkaline, will suit it well, in cold to warm climates. Grow it on banks, over retaining walls, or amongst large rock outcrops, wherever you want a bold statement; an occasional clip back is all the maintenance it needs.